With the increasing problems of pollution and water shortages, the cooling tower becomes more an more important as a water saving device. Higher cycles of concentration mean more water reuse and, therefore, correspondingly less make-up and treatment chemical requirements. However, what is the exact relationship between cycles of concentration and makeup water demand? This question is often misunderstood. 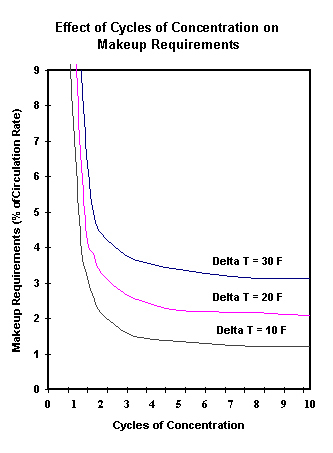 Figure 1 shows the relationship between cycles of concentration and make-up requirements for various temperature drops across a tower. the left hand ordinate gives the general percentage make-up requirements while the right hand ordinate details specific data for a 10,000 gpm recirculating system. The use of ca cooling tower results in substantial savings over once through (cycles=1) cooling systems. As cycles of concentration increase, the resultant savings in makeup water become less and less pronounced. Therefore, in each case very little additional water is saved by operating above six cycles. At lower evaporation rates (D T), the maximum makeup water savings occurs at lower cycles. Chemical savings are directly proportional to water savings. 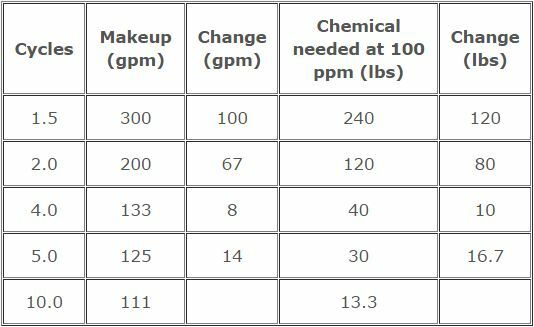 Table 1 illustrated this point for a 10,000 gpm open recirculating system with a 10o D T.
Note that increasing from 3 to 5 cycles gives 85% of the water and chemical savings you would receive if the cycles were increased from 2 to 10. As cycles increase, so does the fouling potential in the system. Suspended solids and contaminants also increase with the increased cycles of concentration. It is usually best to limit cycles at or below 6. Further increase does not result in significant makeup water and treatment chemical savings and may not warrant the possibility of deposit formation and system fouling. Remember, only when water savings are of paramount importance should cycles be allowed to approach theoretical limits. Other safe and effective levels are the best.